New Renault MPV will launch in H2 2019. Hat tip to automotive enthusiast Rickey Dalbehera for sharing exclusive video. Renault India is actively testing the soon to be launched 7 seater MPV. It is codenamed ‘RBC’ as on date. 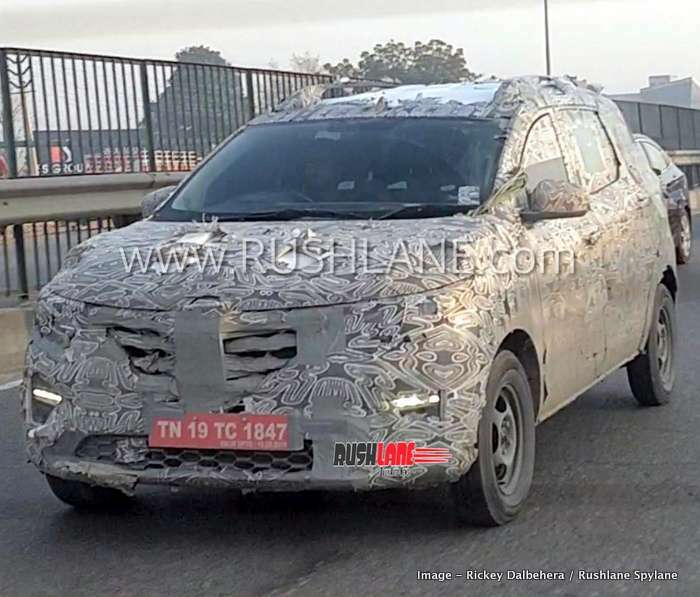 This new MPV will be positioned on a CMF-A platform, on which the Kwid is also based. It will be smaller in size than Maruti Ertiga, as it is a sub 4 meter car. Renault RBC, which is yet to be christened, is the second offering from the French automaker in the MPV segment, the first being the Renault Lodgy. Sadly, Lodgy failed, as sales are at about 50 units a month, making it the least selling MPV in the country. Renault RBC is a low cost MPV. Being in the sub 4 meter segment will allow it to avail excise duty benefits. Reanult RBC will borrow design elements from global line-up of the company. The front fascia will be inspired of modern day Renault cars which are on sale globally. It will sport short overhangs at the front and rear along with more pronounced wheel arches. Interiors will be spacious, considering it has a longer wheelbase. Generous space in third row will be a highlight, but this might compromise on boot space. Below is the video shot by automotive enthusiast Rickey Dalbehera, giving a better look at the upcoming Renault MPV. Renault could offer increased safety features with the new RBC. These will include driver and co driver seat belt reminders, dual airbags, ABS, EBD and speed alert system, all of which will be offered as standard. Renault RBC will most likely get both petrol and diesel engine options. The petrol option could be 1.2 liter 4 cylinder mill, which is seen on board the Datsun Go. This engine delivers about 70 PS power. It will be mated with manual as well as AMT. Diesel engine could be borrowed from Duster, in the form of 1.5 liter generating 85 PS power. No pricing details have been revealed as on date, but expect price range to be aggressive, thanks to heavy localisation. It could be priced from Rs 6-7 lakhs. Once launched, it will compete with the Maruti Ertiga.